Several of the reviewers who read Deadly Curiosities commented that the first book didn’t feel like a first book. Instead, they said it seemed as if the characters and setting was already lived-in, as if they were coming in to the middle of an established universe. They were. 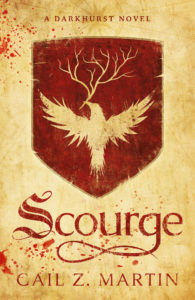 I’ve been writing short stories in the Deadly Curiosities universe now for several years, both the modern setting you’ll see in the book, and settings in the 1500s and 1700s, other times and other places that give readers insight into the background of Sorren, the story’s nearly 600 year-old vampire. If you want to know what Sorren and the Alliance were up to before Cassidy’s time, here’s a brief recap. Sorren was brought across as a vampire in 1465. He was “the best jewel thief in Belgium” until he botched a job and nearly got caught by the night guard. As he was hiding in a cellar, certain to be caught and dragged off to a dungeon, a stranger emerged from the shadows and offered him a way out. That stranger was his maker, Alard. Alard was already part of a nascent project between immortals and mortals to get dangerous magical objects off the market, the Alliance. You’ll meet a lot of Cassidy’s neighbors, friends and allies in Deadly Curiosities, but Charleston is a big place, and there’s too much going on for just one book. And, a number of things mentioned in the Deadly Curiosities novel connect back to the short stories. You don’t have to have read the stories to understand the book, but if you do, you’ll have an insider’s perspective. For example, readers first meet Voudon mambo Mama Nadege in “Among the Shoals Forever”. She and her descendants, Lucinda and Caliel, are two of Cassidy’s most important allies. 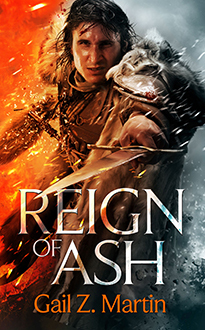 Caliel isn’t in the novel, but he shows up in “Coffin Box” (on ebook as a short story), and in “The Restless Dead”, a story for the Realms of Imagination anthology coming this fall from Dark Oak Books. Mrs. Ernestine Teller, sweetgrass basket weaver and powerful root worker, plays a crucial role in the Deadly Curiosities novel, but she is also an important part of the story in “Retribution”, a story for the Athena’s Daughters anthology from Silence in the Library Publishing. And she figures prominently in “Wicked Dreams” (on ebook as a short story). Father Anne Burnett, an unorthodox Episcopalian priest, makes her first appearance in “The Final Death,” (my free novella on Wattpad) and she also plays an important role in “Wicked Dreams.” She’s the descendant of Father Conroy, one of Sorren’s allies from the 1700s, and a member of the Society of St. Expeditus, a secret organization of Anglican priests who help fight monsters and dark spirits. It’s also where you’ll first meet Ryan Alexander who leads a team of Urban Explorers. “The Restless Dead” introduces readers to the SPOOK ghost hunters, led by Kell Winston—expect to see both men and their groups show up often in future stories! Deadly Curiosities Book Two won’t be out until 2015, but there will be more short stories direct to ebook and in anthologies coming between now and then. You may want to grab them all so that you don’t miss a thing! I’m holding an all-day Facebook Launch Party on June 25 and you’re invited! (Parties on Goodreads and Reddit, too!) 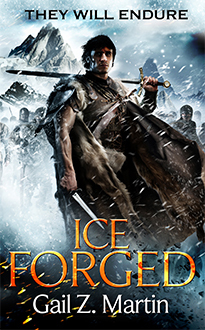 Fun, freebies, contests and games—enter to win free books and short stories! Meet 20+ of my author friends who are celebrating with me. Find out about their new books and upcoming projects, get a sneak peek at some cool new anthologies, ask questions about writing, publishing—anything at all! Best of all, meet authors, talk about books, nab some cool virtual party favors, play party games and have fun! 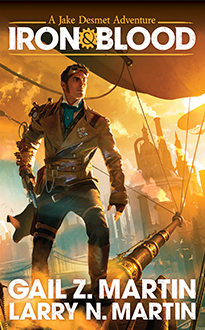 On Reddit/Fantasy, I’m reviving my Ask Me Anything for a Q&A https://redd.it/23va3v, and doing a giveaway for copies of Deadly Curiosities https://redd.it/27z9gq! If you’re in the mood to party, come join me for more Deadly Curiosities parties and signings! It’s that time again—a week when we celebrate the summer solstice (or the Hawthorn Moon as it’s called in The Summoner) with a look at new books, new interviews and a whole lot of fun! 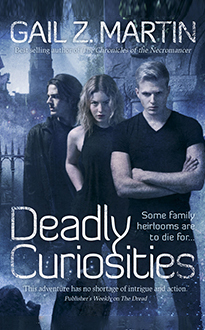 Deadly Curiosities, my new urban fantasy novel, is in stores and online June 25 (US) and July 1 (everywhere else)! 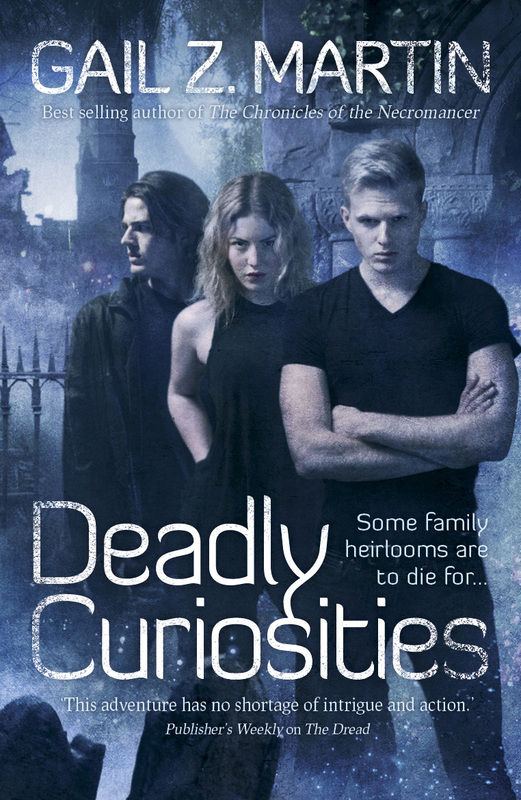 I’ll be celebrating Deadly Curiosities’ launch with dozens of all-new interviews, Q&As, excerpts, giveaways and online tomfoolery on about 30 blogs and web sites worldwide. Sneak previews from other short stories in the Deadly Curiosities universe, so when you finish the novel, you can get more adventures from Cassidy, Teag and Sorren! News flash! Deadly Curiosities 2 is planned for 2015! Where to find more adventures with Cassidy, Teag and Sorren before the second book comes out! Buttons—the story that launched the Deadly Curiosities novel. 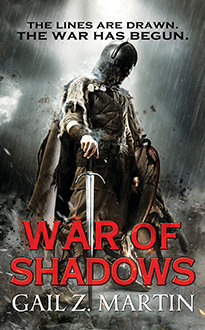 A hungry ghost haunts a dead man’s journals, and Cassidy and Sorren must destroy the spirit before it exacts its price in blood. Coffin Box— When a prominent man and his wife die suddenly, a cursed gift appears to be the culprit. 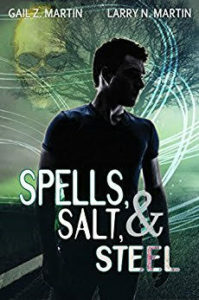 Cassidy, Teag and Sorren must hunt a supernatural killer before it strikes again. Wicked Dreams-– Inexplicable murders among King Street merchants look like the work of a long-dead serial killer. Cassidy, Teag and Sorren go looking for an undead slasher before the body count rises. Retribution: An all-new Deadly Curiosities story in the Athena’s Daughters anthology from Silence in the Library Publishing. An antique hip flask and a vintage poker set lead Cassidy and crew on a hunt to stop a ghostly killer nursing a decades-old fatal grudge. The Restless Dead: Another all-new Deadly Curiosities story in the Realms of Imagination anthology from Dark Oak Books. An antique sewing machine may hold the key to preventing a deranged loner’s murder spree, but can Cassidy and her crew put the pieces together in time, even with some Voodoo help? Stay tuned—I’ve got fun and surprises planned all week, and you’re invited! I’m always amazed when I run into someone who tells me that strong women characters–especially women who could fight–didn’t exist in the “real” Middle Ages. Usually this happens when the person’s entire knowledge of how things used to be has been shaped by bad TV movies and costume dramas. Read any serious medieval history, and you’ll see plenty of women who knew how to get what they wanted. One of my favorite is Eleanor of Aquitaine (1124-1204), the mother of Richard III. Back in the Twelfth Century, she rode off to the Holy Land to retrieve Richard after he’d been kidnapped, bringing an army with her. Not only did she get him out of jail, but she managed to navigate a dangerous political climate and live to be 90 years old. It took grit just to be a woman and survive, which I think a lot of people overlook. As with women today who have grown up on farms, a certain amount of muscle is required just to kill the livestock required to be tonight’s dinner. Noble women might not have had to do chores, but women of every other social class had hard physical labor to do just to keep a household running. That builds muscle and know-how. These women were not shrinking violets. All too often, people will focus on a small period in history and generalize to think that those conditions applied to everyone, everywhere. In reality, women’s role, rights, legal status and responsibilities changed dramatically over time and across geography. Just because women in England in the 1600s had certain social limitations does not mean that the same was true of women a century or so earlier or in other countries. Then, as now, the variations were numerous and fluid. That’s one of the reasons I love writing about strong women characters in epic fantasy. I tend to write ensemble casts, and I have important female characters in a variety of roles: warrior, noble, mistress of the manor, healer, spy, courtesan, madam, oracle, queen, priestess, whore, farmer and craftsperson, to name a few. In some cases, the women are born into a role and responsibility, and in others they make their way however the opportunity presents itself. What they all have in common is a flinty determination to create the life they want, for themselves and for those they care about. When you stop to think about how tough a woman had to be to survive without antibiotics, without modern obstetrics, often without access to any kind of knowledgeable medical practice, and without central heat, refrigeration, labor saving devices, easy transportation or even decent public sanitation, you realize that our foremothers were tough old birds. They had to be. That’s the side I enjoy bringing to light in my epic fantasy worlds, they women who make their way, in spite of everything. Those women never run out of adventures. At least that’s the opinion of one Gail Z. Martin about my latest novel BLOODSUCKERS: A VAMPIRE RUNS FOR PRESIDENT. (Even if there were two Gail Z. Martins, this is the opinion of one.) She was kind enough to ask me to talk about the book here. BLOODSUCKERS is a political thriller — with vampires. Norman Mark is a politician with skeletons in his closet (literally). He’s a liberal Democrat who is constantly attacked by the tea party extremists who say he’s a socialist and an atheist and wasn’t born in America — and a vampire! Everyone laughs at the crazies but it turns out they’re right about all of that. Disgraced reporter Steven Edwards supports Mark completely. When Mark is shot at a campaign rally, Steve looks to his acquaintance who drops the smoking rifle, smiles, turns into a bat, and flies away – leaving Steve as the prime suspect. He is rescued by the vampire believers (Jon Stewart calls them “Batties”) and he goes into hiding. The only way he can prove his innocence is by proving to the world that vampires actually do exist while constantly on the run from the bloodsuckers and the FBI. Steve learns that vampires have been controlling things behind the scenes for thousands of years, accumulating wealth and influence. Many vampires don’t like the idea that one of their own is running for President and they’re trying to stop him, worried that he will expose their existence. Others support Mark. Many of them want Steve dead. 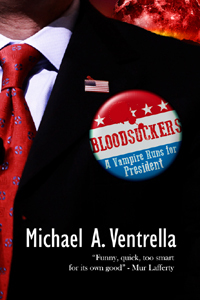 BLOODSUCKERS is not a traditional vampire novel but more a political conspiracy thriller with humor. Oh sure, people turn into bats and drink blood, but as I said, this is political. Readers of my novels and short stories know to expect plot twists and turns and surprises along the way. Part of the fun in writing it is leaving the clues so that when the twists happen they are unexpected but logical. I also enjoyed working in real journalists like Brian Williams, Rachel Maddow, and Stephen Colbert. OK, mostly real. 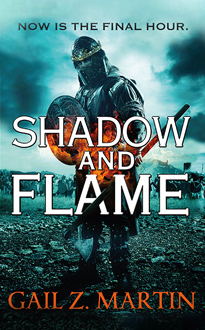 There’s a lot more information on my web page, along with links to other reviews and the first few chapters (so you can get hooked). 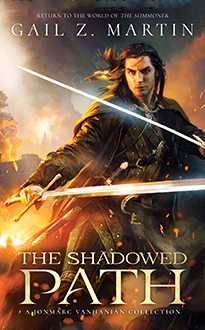 You can get the ebook, nook, or kindle for as little as $6 or so.